Nowadays, … there are safe online discussion spaces, such as SANE Australia’s forums that connect rural and regional Australians. How do films and television shows portray mental illness and suicide? Are these screen stories harmful, or is there scope for more ethical, responsible portrayals? How can the entertainment industry contribute to mental health awareness? And what can screen media—which is more accessible than ever, thanks to digital technology—offer for people living with mental illness? These questions, that Dr Fincina Hopgood, Lecturer in Screen Studies, has been exploring in her research, have led to collaborations with senior academics in mental health and social work at the University of Melbourne and La Trobe University, and partnerships with mental health organisations SANE Australia, Mind Australia, and Everymind (formerly the Hunter Institute of Mental Health). Dr Hopgood’s expertise in screen portrayals of mental illness led to her being interviewed on ABC Radio several times last year, in response to widespread community concerns about the horror film Split and the Netflix productions 13 Reasons Why and To The Bone. Despite these negative and potentially harmful representations, Fincina is an advocate for the role of film and television in raising awareness about mental health issues. She points to examples such as ABC’s Mental As… initiative and shows like Josh Thomas’ Please Like Me, which is based on his experiences caring for his mother, who lives with bipolar. Fincina is excited about the opportunities that digital technology provides for people who have experienced mental illness or suicide to share their stories. Nowadays, she says, there are safe online discussion spaces, such as SANE Australia’s forums that connect rural and regional Australians, as well as programs that encourage young people to make and share online short films about mental health, such as Art With Impact in North America. In our own regional screen industry, Screenwave’s collaboration with headspace, Coffs Harbour, has established the REC Ya Shorts Youth Film Festival and Dr Hopgood has hosted a Screenwave filmmaking workshop for UNE students on campus, while the 2017 Festival Tour included a red-carpet screening at the Belgrave Cinema in Armidale. Dr Hopgood and her colleagues are currently developing a large scale, national research project Mental Health and Screen Media: A New Model of Empathy, with seed funding from the Melbourne Social Equity Institute and the Disability Research Initiative at the University of Melbourne. This project will examine the potential of screen media to foster empathy and social inclusion for people living with mental illness. 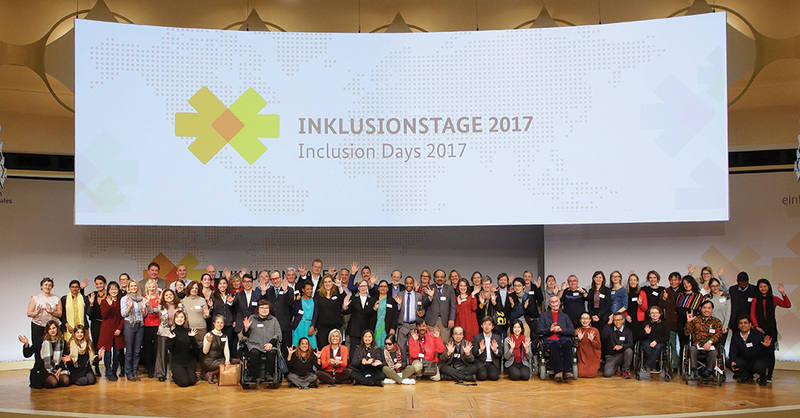 The importance and social impact of this research was recognised by the German Ministry for Labour and Social Affairs, who last year invited Dr Hopgood and colleagues to present their project at the Ministry’s Inclusion Days in Berlin. This two-day conference, held annually since 2013, is part of the German government’s commitment to implementing the United Nations Convention on the Rights of Persons with Disabilities. The 2017 conference focused on showcasing best practice projects in social inclusion from all around the world. Dr Hopgood and her team joined 100 international guests and over 700 delegates to hear about innovative approaches towards social inclusion for people with disabilities and to share ideas with politicians, policy makers, advocates and researchers about how to implement Germany’s obligations under the Convention to ensure the inclusion and participation of people with disabilities in all areas of society.